We're taking part in the annual 65k 4 65 Roses Walkathon which is on this Saturday 27th February! We’ve already dusted off our running (and walking) shoes, and your local Plumber & Electrician To The Rescue team will be ready at the starting line at 9:00AM. We will be working up a sweat to show support for this great cause, raising funds to support research and treatment of cystic fibrosis for Cystic Fibrosis NSW. We’re really excited to be backing such important work, and we would love you to join us so we can beat it together! We'll even match your donation dollar for dollar! You can click here to donate now! Cystic fibrosis (CF) is a recessive genetic disorder which primarily affects the lungs and digestive system. In Australia alone, one baby is born every four days with cystic fibrosis. As a genetic disorder, one in twenty five or so people carry the correct sequence to pass on the CF condition, meaning there’s around one million Australians carrying the gene. The worst part is that there is no cure yet, and people living with CF endure shortness of breath, regular bouts of bronchitis and pneumonia, crippling stomach pains, poor digestion and a variety of bacterial infections and lung problems. 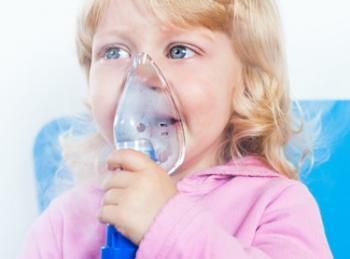 Lung failure is the primary cause of death among CF sufferers. A person born with cystic fibrosis must continually undergo medical treatment throughout their entire life. The best way to help is to donate. We’ve set ourselves a goal of raising $750 for Cystic Fibrosis NSW. We’ve reached $271 of that goal so far – and we would love you to help! Like we have done before, we promise to match your donations dollar for dollar, up to the value of $500. Every little bit matters – small things snowball into big things! With CF the most common life-threatening, recessive genetic condition affecting Australian children, we know it’s time to act! Let’s join forces and do everything we can to support the important work of Cystic Fibrosis NSW preserving and improving the lives of people living with CF! We can make a difference together! So click here to get on board! At Plumber & Electrician To The Rescue, we’re passionate about supporting Cystic Fibrosis NSW. Important work is being done to improve the quality of life of people living with CF, and to build a base for further research and better treatment options to preserve the health and life of people who live with this condition. That’s why we’re getting on board with the 65K 4 65 Roses walkathon! Our team of four (Tim, Vic, Murray and Adrian) will be walking with teams from other companies, community groups and private entrants to show support for the foundation, and to raise as much money as we can to support Cystic Fibrosis NSW and the Children’s Hospital at Westmead. 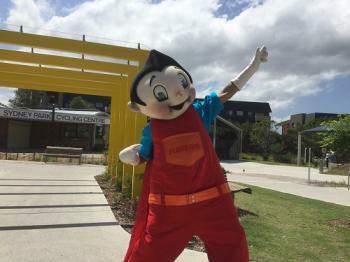 Our superhero mascot Plumberto will be making an appearance at the event as well! Not to mention he has been training our team for the walkathon. 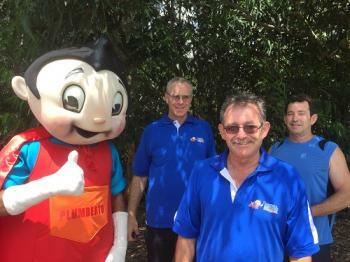 Our team, led by Plumberto has been working hard to get in shape for the big walk as you can see, the guys are giving it their all to get in shape for the big event! 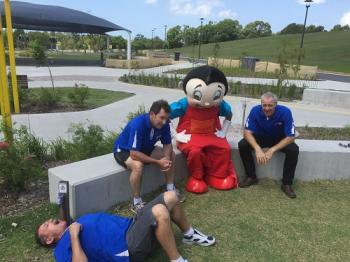 The event will be held in Leichhardt Park on the 27th of February, using the Bay Run as the track. So far, over $110,000 has been raised in support of Cystic Fibrosis NSW – with your help we can push that even higher! Research is being conducted around the world – in the UK, USA and Australia in particular – to find a cure for CF. The Australian Cystic Fibrosis Research Trust supports over half a million dollars of research a year across Australia! The 65K 4 65 Roses walkathon raises funds for both The Children’s Hospital, Westmead and the Cystic Fibrosis NSW foundation. This support makes possible advocacy, treatment of CF, research and more! It’s time to step up – even the smallest donation puts us on the road to a cure for CF. You can click here to donate to the Plumber & Electrician To The Rescue’s team page, and remember – we’re matching donations until we reach our goal!